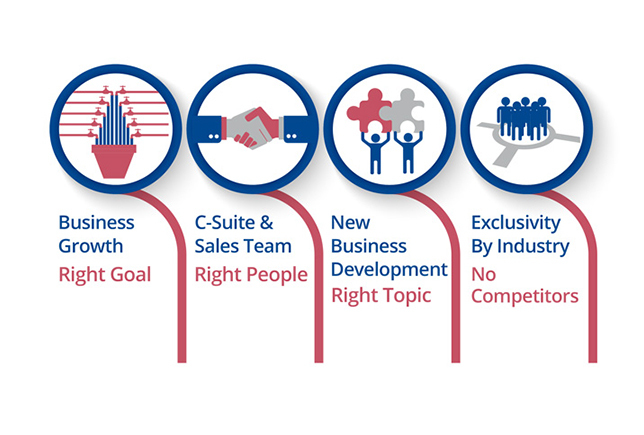 Historically, middle-market companies have had limited options when it comes to business development. 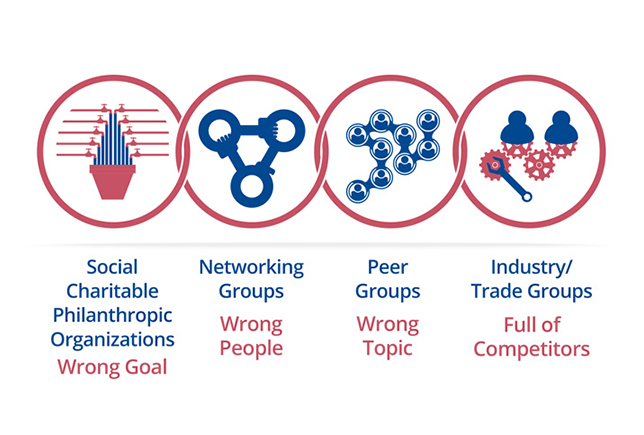 So, Accelerent has created an entirely new model, where business growth is the goal, leaders are the participants and exclusivity by industry keeps competitors out of the room. 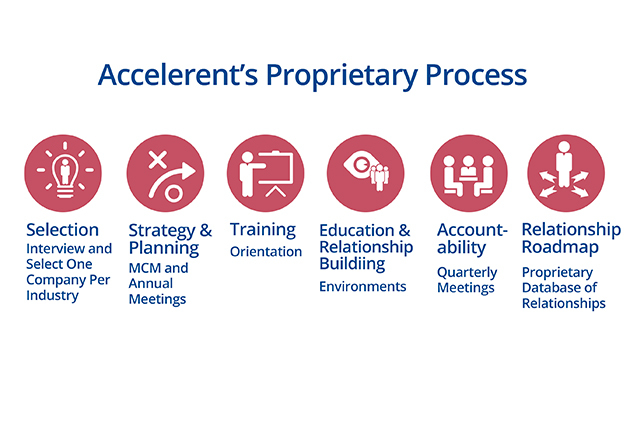 Accelerent's proprietary process, developed over more than a decade, selects the right companies, helps them develop a strategic implementation plan, provides training, facilitated environments and accountability, and includes access to its confidential relationship roadmap database.